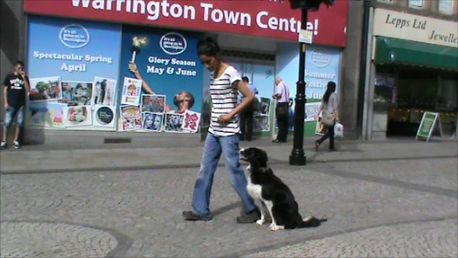 If you would like a dog that listens and responds to you wherever you may be, and whatever distractions may be around, you need to ensure you do some training in different environments and take your training ‘on the road’. With this in mind we are launching a Distraction Challenge competition. Simply upload a short video to our page, of your dog doing some training in a distracting environment. It doesn’t have to be advanced training, even doing some simple sits and downs is ok, the main thing is that you train in a environment that your dog finds distracting. The challenge will close on Thursday 5th December at 6pm. The challenge will be judged by the Cheshire Dog School Obedience instructors and the winner will receive a 800g bag of super-tasty Kronch Salmon treats!